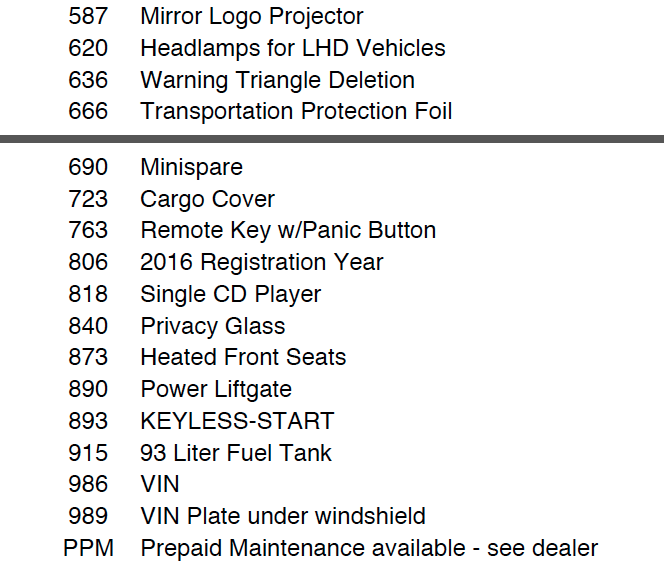 I have seen the Dealer Ordering Guide for the 2016 GLE, and am attaching two of the most important pages. The rest of it is mostly photos of the GLE including exterior, interior and a lot of upholstery. It is the very first version of the DOG; no prices are given except to compare 2015 P01 and 2016 P01. I don't see airmatic as a stand-alone option. 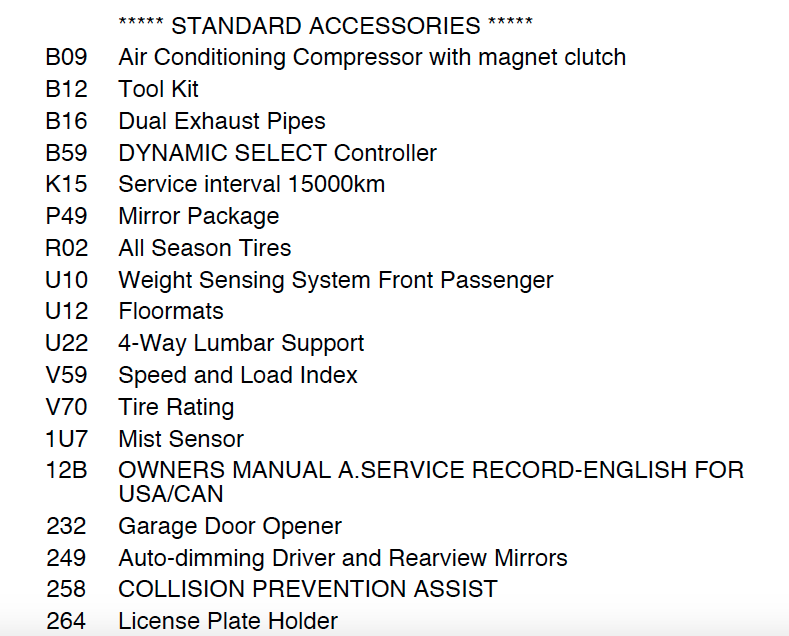 The mbusa.com web site indicates that the "Dynamic Select" option is NOT available on the diesel model, and the DOG doesn't mention dynamic select at all. 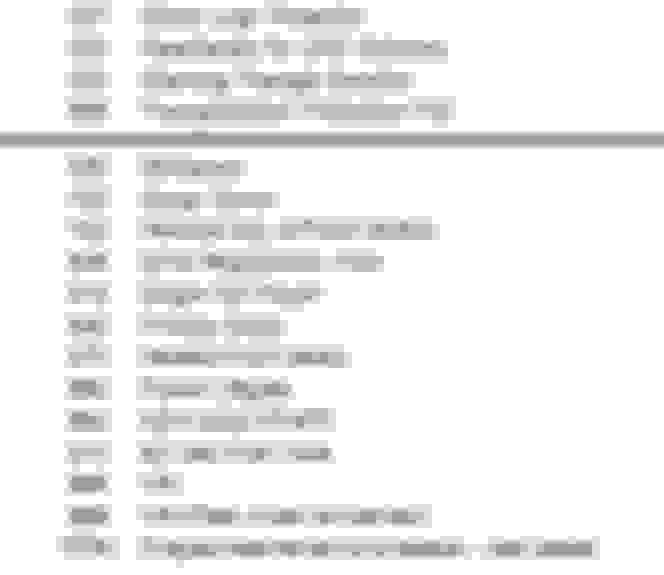 The bulk of information in the DOG is the same as the information in the GLE press release on mbusa.com. Saw the DOG as well, so there wont be grey/dark grey mbtex as an option on the 2016 GLE? 2. The 2016 DOG lists option #401 as Heated/Ventilated seats but the 2015 DOG lists the #401 option as Ventilated seats (does not say Heated). Puts a little doubt in my mind whether heated front seats are std in 2016. Disclaimer - I've just started researching the ML/GLE as my wife wants to replace her 335Xi with an SUV so she can haul the grandkids easier (and get a better quality ride); not knowledgeable on the MB's, just trying to get info and get up to speed. LSU - good points and pickup on the DOG - from my side I will do some checking from my end. Please note on the 300D - from what I have seen in the past - if August production - retail delivery may be a bit delayed since this new production diesel model will need to secure Federal approval - which will be no problem - but the ways the Feds set that up - production/line vehicle has to be submitted - and Fed approval process may take initial delivery out a few weeks - meaning initial production will be built and held at VPC until Fed's say "yes". 1. 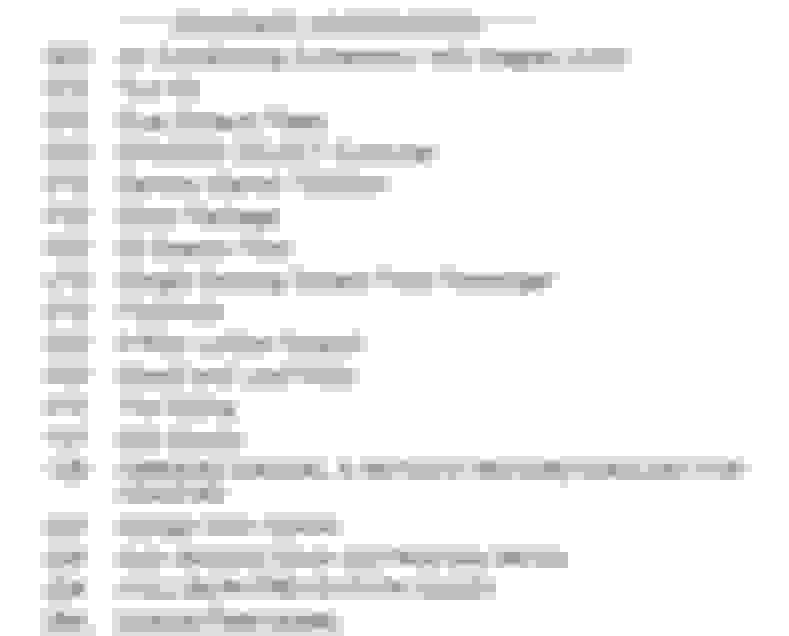 Tire size - I believe your saleperson could go into Build-Config tool in Netstar - and a build sheet would clarify this conflict . Next release of dealer order guide should clarify. 2. Ventilated Seats - I believe Heated Seats will be included in std features - and that "heated/ventilated" language is common MB speak - since you are not familar with ML's - ventilated option is for leather interior front seats - not avail/used for MB Tex - gratefully my customers experience MB Tex as a material does not get "scalding sun hot" like leather can. Since it needs Fed/EPA approval, it must go w/o saying that this is a new powerplant in the GLE300d, even though it shares the same/similar specs and displacement as the ML250 BlueTec. Is it too early to ask what changes were made between the 2 engines? The 1st Release of the Dealer Order Guide - generally gets amended/updated 2-3 times between now and Sept - the updates reflect clarifying spec points like those that have been brought up here. The Dealer Config NetStar tool - right now is also a bit buggy - and that gets refined/updated as well as the system updates over the next few weeks for production. Thanks for the help & info. 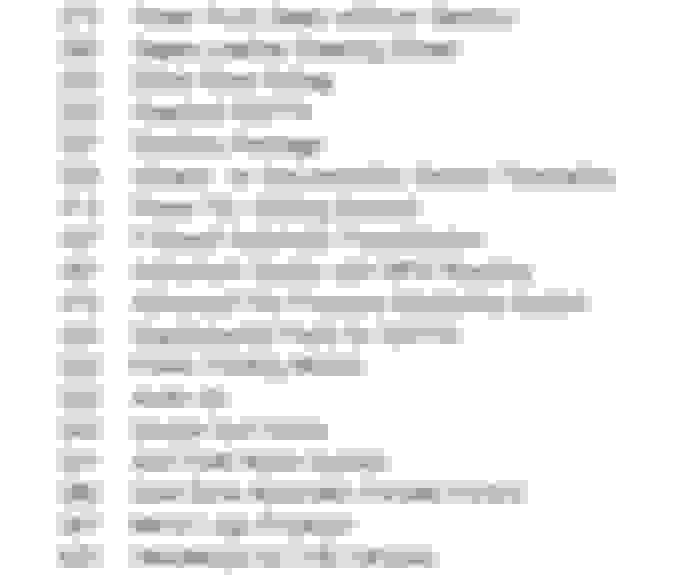 The order is in Netstar now, though dealer says its too early to print a build sheet. Status is A4 ... I think we can make changes until it hits B3? It has been a over a month with no updates. Did anyone learn anything new about the 2016 GLE diesel? Anyone know what option 874 Magic Vision Control is? Now that's cool. Thanks for the link. 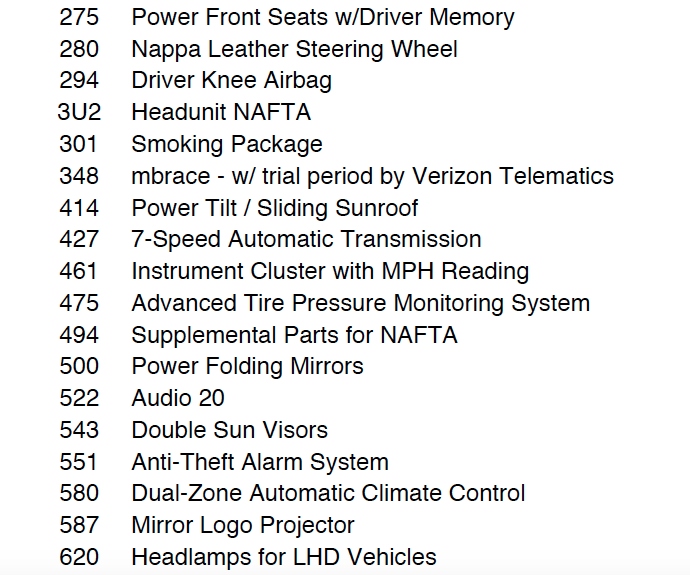 Imagine what the cost of replacement wiper blades will be! 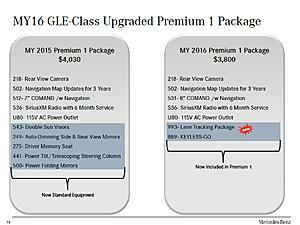 Anybody have a copy of the full USA MY16 GLE (not the coupe) order guide they can link or share? 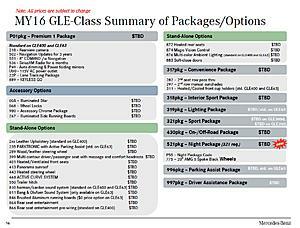 I'm also looking for a copy of the '16 GLE300d order guide. Will the V8 carry over? 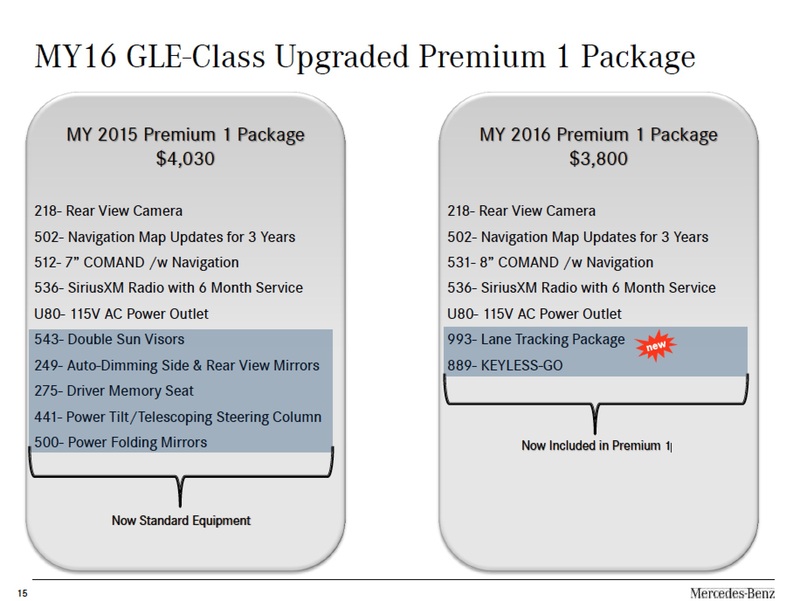 ML550 becomes the GLE550? 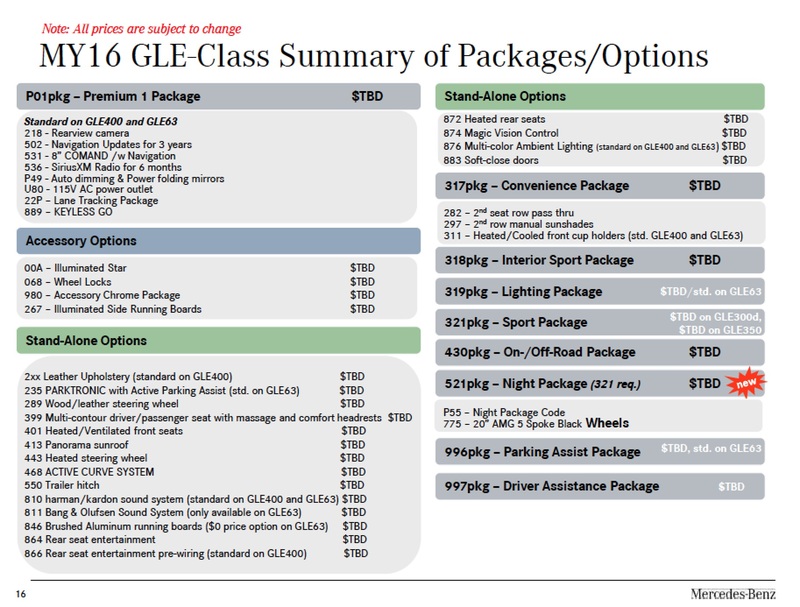 2016 GLE allocations are available now and ready to begin production. Dealership arrival beginning in August.